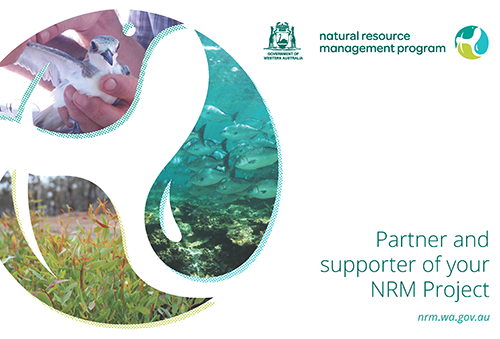 The State Natural Resource Management (NRM) Office was established by the Western Australian (WA) Government to facilitate the coordinated delivery of natural resource management in WA. The State NRM Program covers the portfolios of Agriculture and Food, Environment and Water. The State NRM Program team is responsible for coordinating and supporting the delivery of the Western Australian Government's State Natural Resource Management Program. In 2009, the Western Australian Government established the State's Natural Resource Management Program to address Western Australian NRM priorities. Since then more than 850 projects have been supported with over $87 million of grants. The program assists to maintain or enhance the condition of the State's land, water (terrestrial and marine) and biodiversity assets so that they continue to provide economic, environmental, social and cultural benefits to Western Australians. Over 200 community groups and organisations, industry groups, local governments, schools and state agencies have achieved impressive results in their local environments with this support, and contributed more than $50 million in their own funds and effort. The State NRM Program is administered by the Department of Primary Industries and Regional Development, based at South Perth.